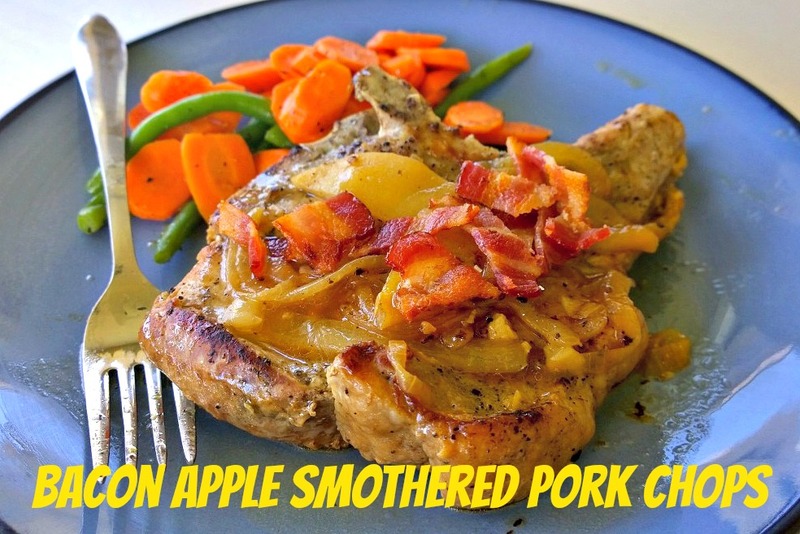 I rarely cook pork, let alone chops, but I really wanted to try out this recipe from Nom Nom Paleo. 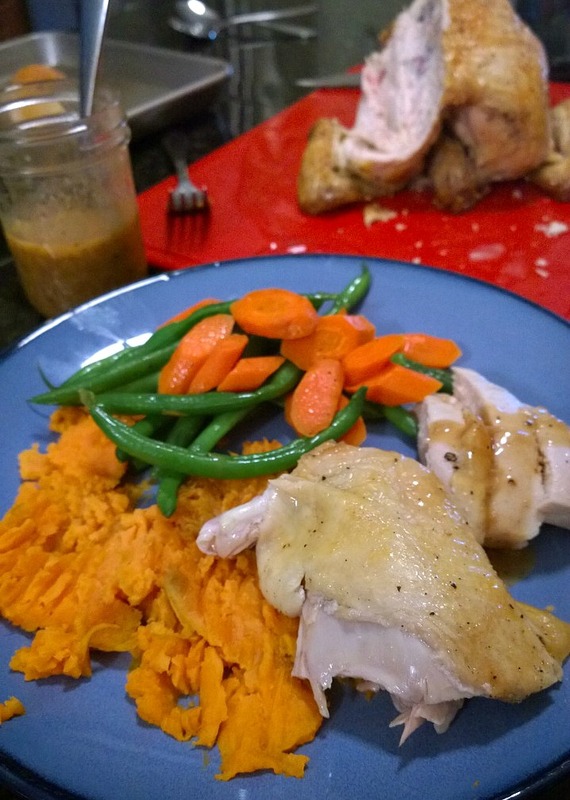 If I had cauliflower at the time, I would have made mock mashed potatoes. That would have gone perfectly with the chops because this dish makes a good amount of gravy. I was really pleased with the flavor, but next time I’ll probably add more apples to it. I used three huge pork chops for this that were each about one inch thick! It smelled amazing! Thanks for reading, enjoy! Fry the bacon in a small saucepan over medium-low heat. Once the bacon is crisp, scoop it out and place it on a paper towel-lined dish. In the same saucepan, add the arrowroot powder into the drippings to form a smooth roux. Keep whisking until browned, then pour the broth in and stir until incorporated. Increase the heat to med-high, and bring the sauce to a boil. Cook until thickened, then cover the pan and set it aside. 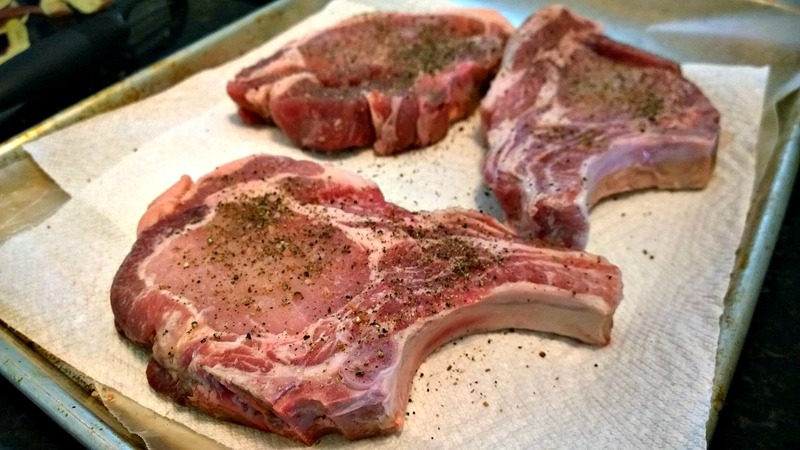 Season the chops on both sides with salt and pepper. Heat ghee in a large skillet over medium-high heat. 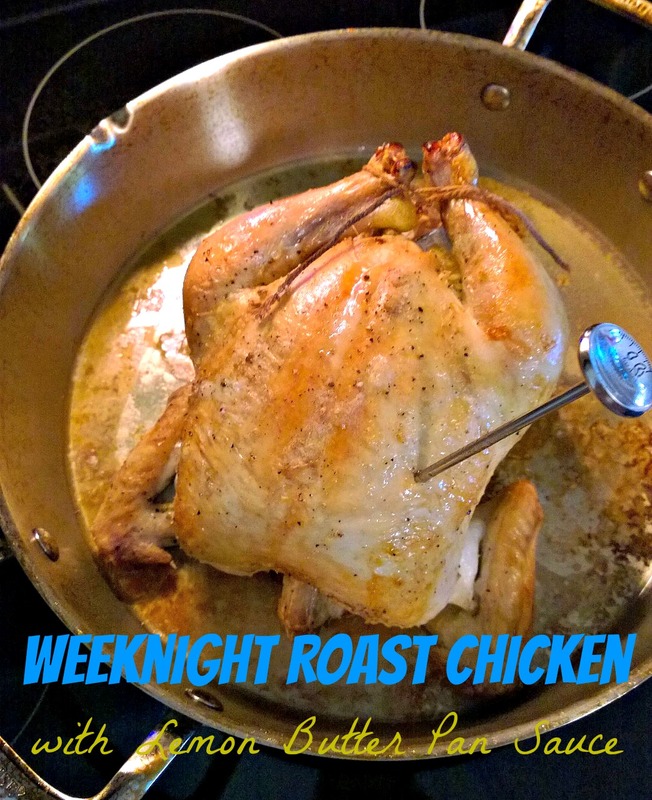 When the pan is hot, add the chops and cook on each side for a minute or until golden brown. Transfer chops to a plate. Toss the apples and onions in the same skillet, season with salt and cook, stirring constantly. Continue cooking until the apples and onions brown on the edges. Add the garlic and saute until fragrant, then add the chops back into the skillet. Pour the reserved sauce over the chops and add the thyme sprigs. Bring the sauce to a boil, then reduce heat to low and cover. 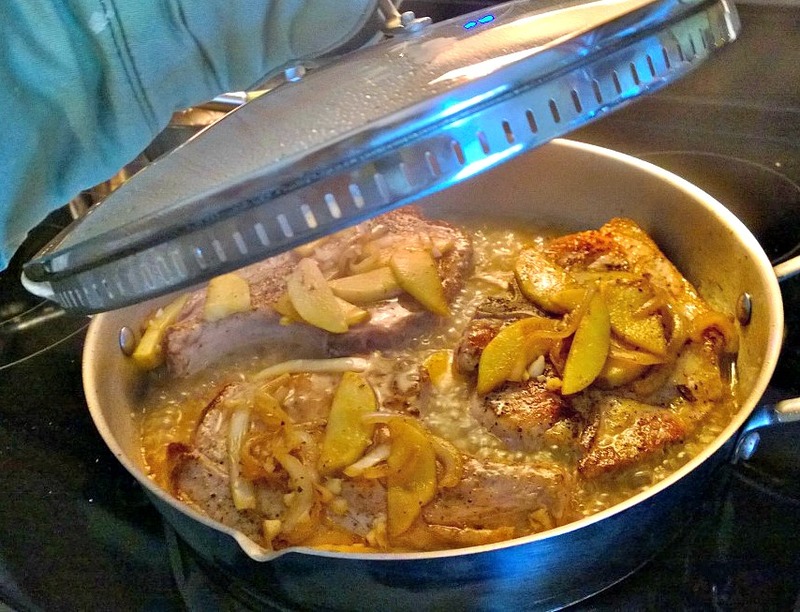 Simmer for 30 minutes or until the pork is fork tender. Plate the chops, and top them with gravy and reserved bacon bits.